Our site may use forms for customers and prospects to request information about our products and services. We may collect contact information (Such as an email address, name, mailing address and telephone numbers, etc.). Contact information is used to send information about our company and its products and to contact the customer or prospect to answer questions about our products. 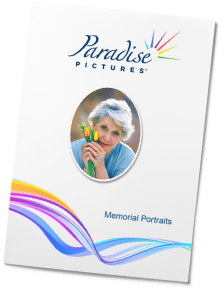 We do not provide the customer's information to parties not affiliated with Paradise Pictures, LLC. This site may contain links to other sites. Paradise Pictures is not responsible for the privacy practices or the content of such Web sites. This site gives users the following options for changing and modifying information previously provided: You may send email to: feedback@paradisepictures.com, or call the company at its headquarters: (800) 960-8040 -or- (530) 895-9300.